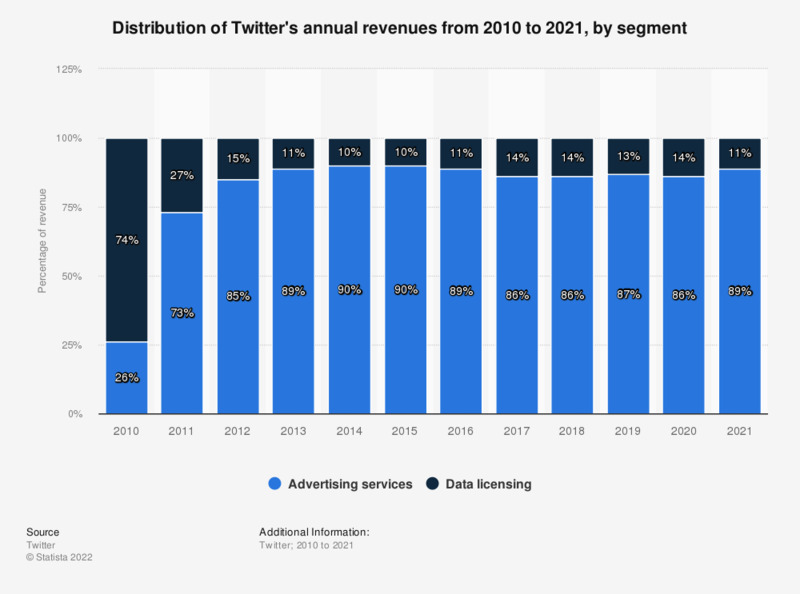 This statistic provides data on Twitter's annual revenue distribution from 2010 to 2018, sorted by channel. In the most recently reported period, the social network generated 86 percent of its revenue through advertising services. Advertising services include promoted tweets, promoted accounts and promoted trends.